I found this photo of Dr. Hoodless taken with his students in 1937. The web site this photo was found at includes a link to an article titled "Misi Utu: Dr D.W. Hoodless and the development of medical education in the South Pacific. Margaret W. Guthrie. 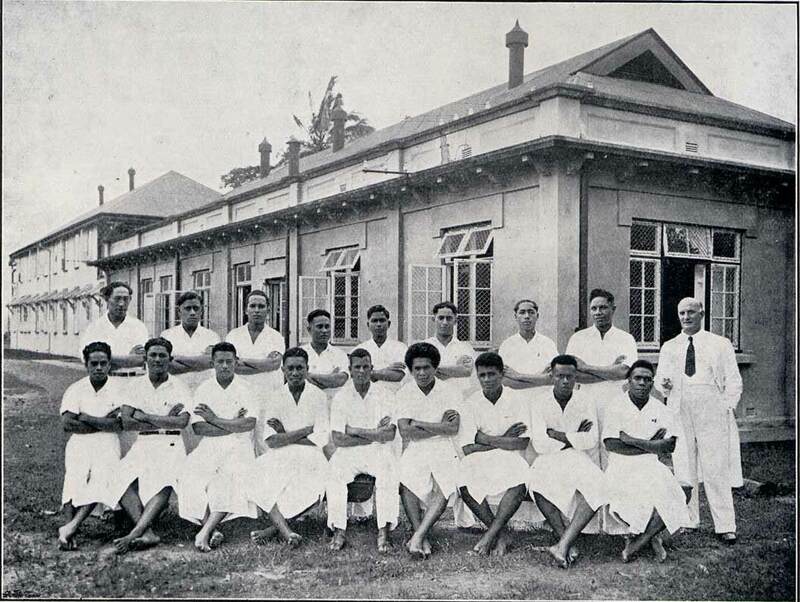 With a history of the graduates of the Suva Medical, Central Medical, and Fiji School of Medicine. 1979, reprtd 1980. 70p-illus. Publisher: Institute of Pacific Studies, University of the South Pacific, Suva, Fiji." Misi Utu is a short biography by Hoodless' daughter, Margaret. It's available online. He was a great man. Perhaps this has been covered somewhere in the vast expanses of the Tighar web site, but in case it hasn’t, here is a link to a memoir that includes a brief account of a meeting with Dr. Hoodless, of the bones measurements fame. The author died not too long ago. It's a shame the opportunity to reach out to him was missed.